FATV volunteer Peter Hanley with one of the station’s ten Hitachi Z-HD6000 cameras. 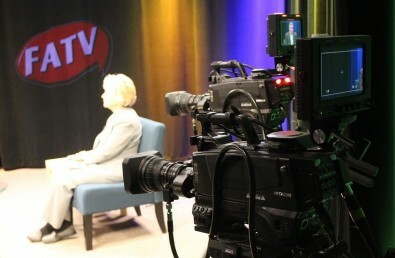 Public, education and government access (PEG) broadcaster Fitchburg Access Television (FATV) takes pride in bringing high-quality community programming to residents of Fitchburg, Massachusetts while also serving as a valuable partner to nearby schools. The station has purchased ten Z-HD6000 cameras from Hitachi Kokusai Electric America to improve productions, simplify operations and meet its educational goals. Hitachi Z-HD6000 camera in a studio at FATV.